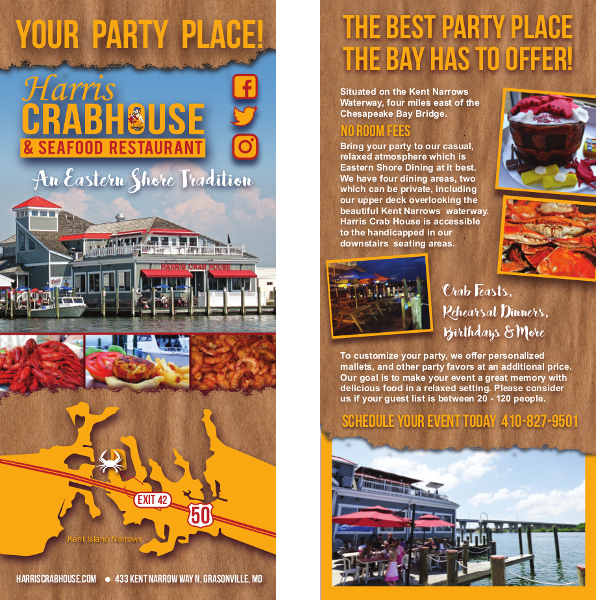 Harris Crabhouse is an eastern shore tradition, shared and managed by generations of family. 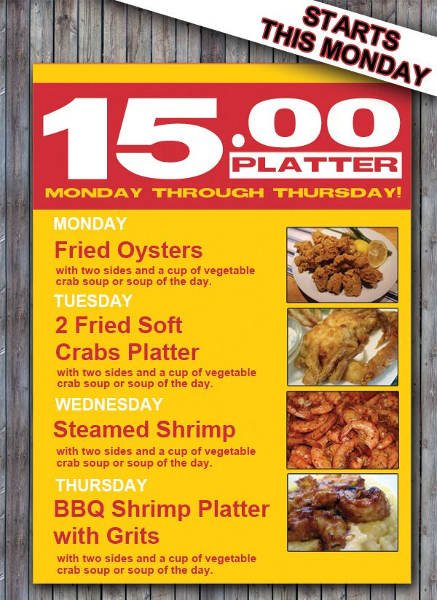 Not only is it in a picturesque setting with great staff, but offers amazing food! We’ve been lucky to partner with them on all marketing efforts; from their menus and billboards to social media and their recently designed website. 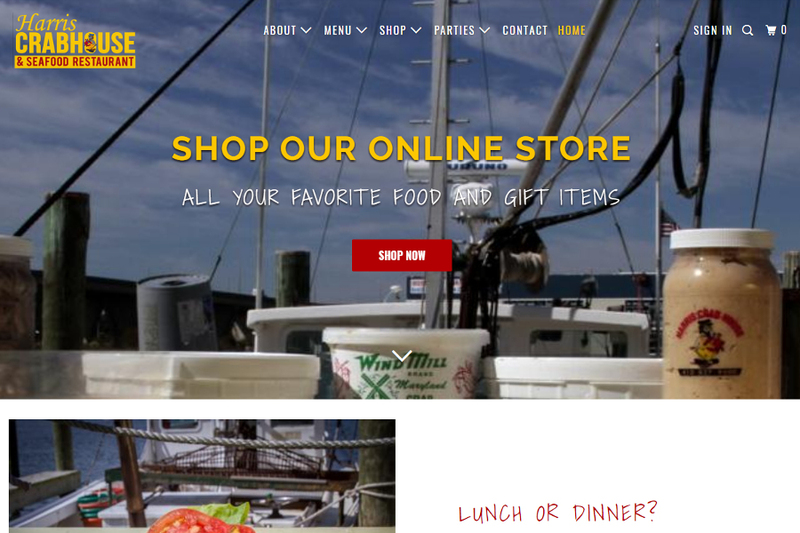 We rebuilt and redesigned their site on an e-commerce platform. Now users to their site can check out the latest menu or order their award-winning food to be shipped across the states. Their site’s traffic continues to rank in the top 2% of stores launched the same week.